Apple has released the MacOS High Sierra 10.13.4 Update. It is a recommended update for all MacOS High Sierra users and delivers a number of significant improvements and security fixes. 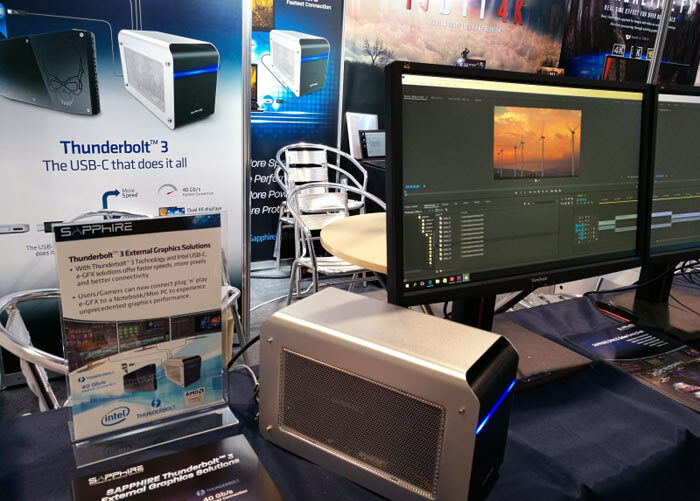 Probably of greatest interest to enthusiasts is the added support for external graphics processors (eGPUs) over the Thunderbolt 3 connector. Apple announced upcoming support external GPUs way back at WWDC 2017 last June. A dedicated support page for making use of the new eGPU support feature has been published on Apple's website. If you own a Mac computer and think eGPU options would be useful for you - for gaming, VR, or 3D graphics creation perhaps - then there are a number of important pre-conditions you have to consider. As well as the new MacOS update to High Sierra 10.13.4, you will need either a MacBook Pro notebook released in 2016 or later, an iMac computer introduced in 2017 or later, or an iMac Pro. To setup you will connect to the eGPU via your Mac's Thunderbolt 3 (USB-C) port. 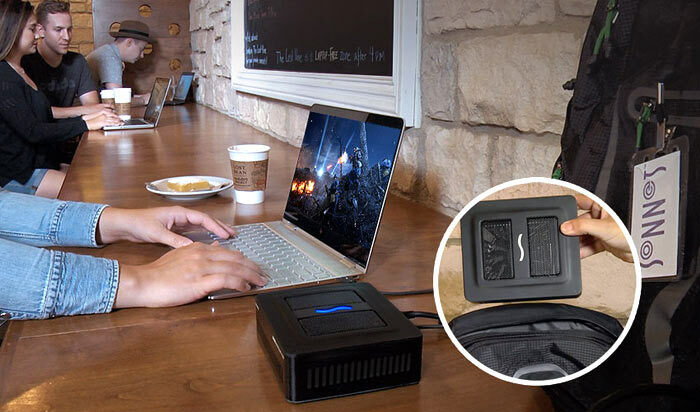 If your machine is a MacBook Pro you will need an eGPU solution that can provide sufficient power to run the graphics card while charging the computer. 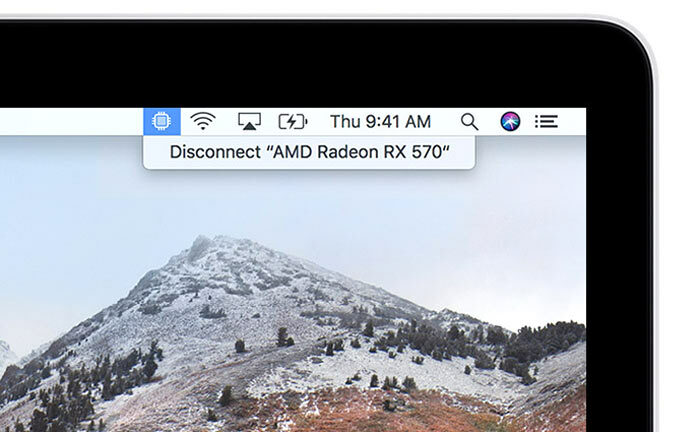 When your Mac is connected to the eGPU you can use its horsepower to accelerate Pro applications designed to utilize multiple GPUs; 3D games, when an external monitor is attached directly to the eGPU; VR applications, when the VR headset is attached directly to the eGPU; and Pro applications and 3D games that accelerate the built-in display of an iMac or MacBook Pro. Apple recommends that for best results you set a display that's attached to the eGPU as the primary system display. A number of third party external GPU chassis/combos are supported by these accessory makers; OWC, PowerColor, Sapphire, and Sonnet. AMD Radeon RX 570, RX 580, and Radeon Pro WX 7100 graphics cards are the most widely supported but for AMD Radeon RX Vega 56, Vega 64 and Vega Frontier Edition Air, Radeon Pro WX 9100 support you must make sure you get a chassis with a higher-rated PSU, typically 550W and higher. 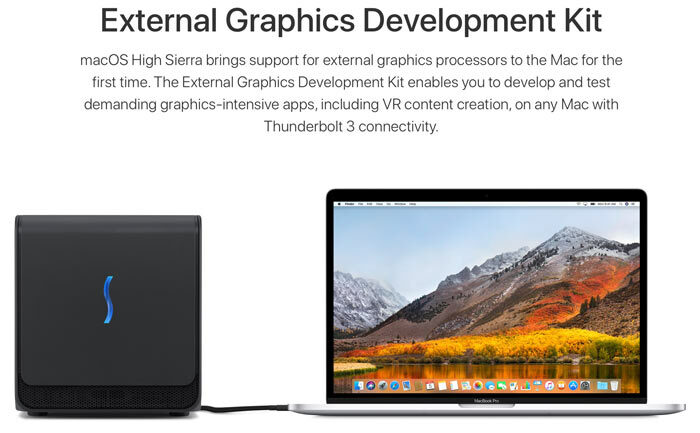 Apple says that eGPU support in MacOS High Sierra 10.13.4 is designed to accelerate Metal, OpenGL, and OpenCL applications. However, not all applications support eGPUs. One particular disappointment for many will be that MacOS High Sierra 10.13.4 doesn't support eGPUs in Windows using Boot Camp - so you can't use the eGPU to accelerate Windows PC games running on your Mac at this time.